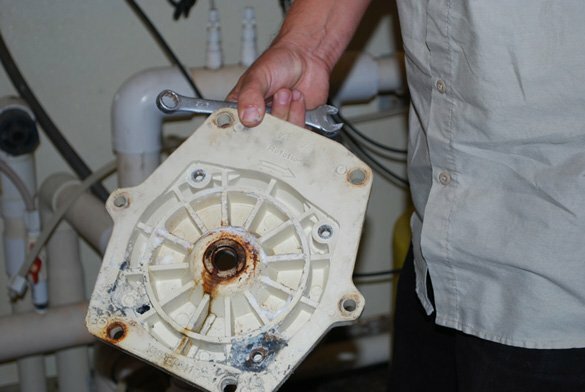 A commercial facility in San Diego contacted our office about a leak in their pool equipment pump room. The maintenance staff believed the leak was coming from either the spa circulation pump or one of the spa booster jet pumps. 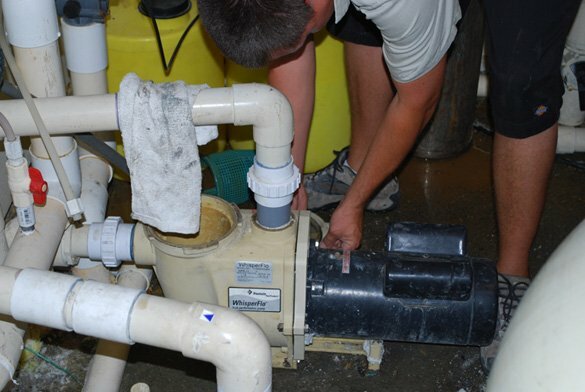 During the inspection of the spa equipment we noticed water leaking from the bottom of one of the spa booster pumps. 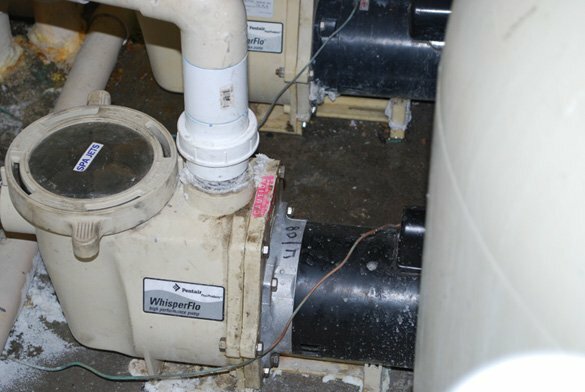 The three horsepower whisperflo pump was leaking from the shaft seal. 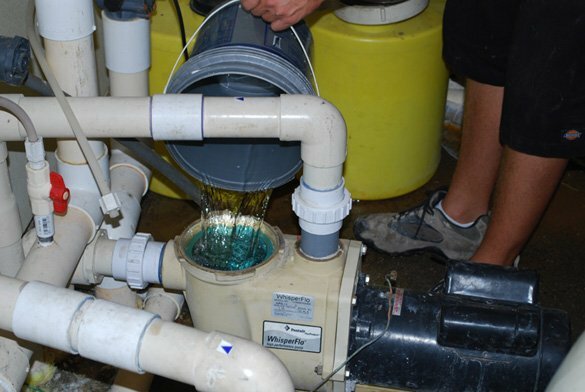 The pump motor was in good condition so we broke down the pump to inspect the wet end components. Once apart it became apparent that the seal plate was also leaking. 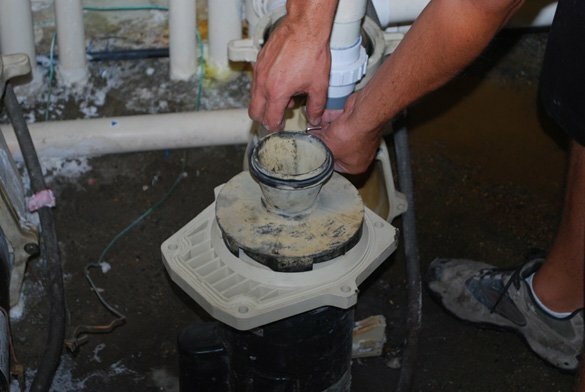 The bolt anchors on the bottom of the seal plate were broken and the pump motor could no longer be properly attached to the seal plate. After picking up the new pump replacement parts we put the pump back together. A new whisperflo seal plate, seal plate gasket, shaft seal and diffuser o-ring were installed. 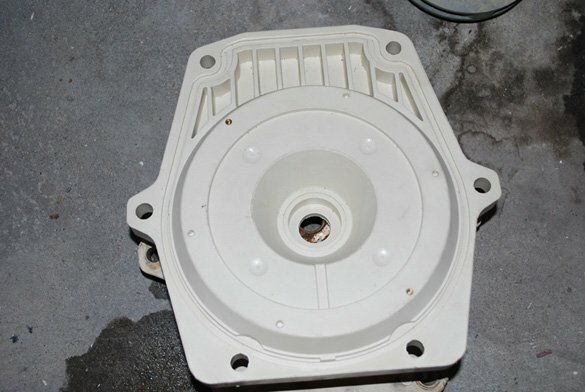 The diffuser and impeller were in good condition and were able to be reused. Luckily the leaking pump did not cause damage to the motor. The pump repair took about an hour to complete.